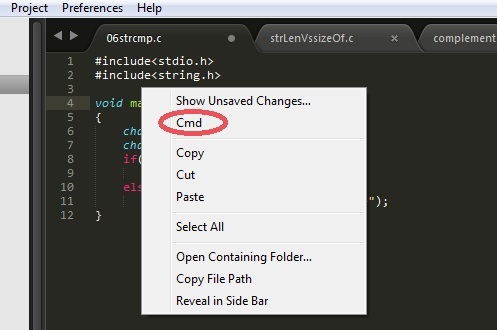 How to Open Command Line Prompt From Sublime Editor in Windows? In this article, I am sharing step by steps procedure open command line prompt from Sublime editor. Before starting this tutorial, let me tell you, Sublime is one of the best editors for programming. I personally use it. Why should you use the Sublime editor, too? 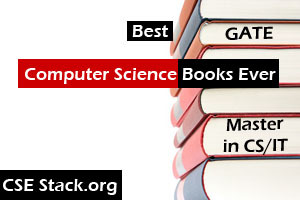 It supports and highlights syntax for so many programming languages. If you dabble in many programming languages, it is not good choice to keep one editor (IDE) specific for each programming language. Using single editor make your job easy. So the sublime is the best choice for you. If you are not using it and serious about coding, I would recommend you to download and install Sublime. Get your own experience before I explain you further. Now moving to our tutorial guide. How to Open Command Line Prompt From Sublime Editor? Sublime is just an editor that highlights coding syntax. After writing any programming, you save it. Then, you have to compile and run it. Unfortunately, Sublime does not have the intelligence to compile and run you’re any program. Whether if it is Python or C/C++ programming, you need to the compile and run it through the command prompt (cmd). After writing a program, you can not open the command prompt from the Sublime editor. “Minimize the Sublime editor and open command prompt from Windows application stray”. Two things bothered me much…. Opening command prompt explicitly. And the changing current directory of the command prompt for every program I run. So, here I am giving the solution to my both problems by which you can open a command prompt from the Sublime editor with a single click. It will open a new window. Create new folder CMD (all uppercase letters). Create a file cmd.py. Write the below code and save the file. command= "cd "+current_directory+" & "+current_driver+" & start cmd"
This is Python coding. It is ok even if you don’t understand this code. This code is tested and verified. Create another file with a name Context.sublime-menu. Copy and paste lines given below into the file and save it. That is all about and you have done. Open any program file in the sublime editor and Right-click (context menu). You can see the Cmd menu in Context menu options. The command prompt will be opened through which you can compile and run your program. Tip: If you want to excel in programming, get rid of using the mouse. And try to get the things done from keyboard shortcuts in the jiffy. Rather than Right-click every time to open a command prompt, I prefer to use the keyboard shortcut. In the Sublime editor, click on Preferences and select Key Bindings – User. I am habitat opening command prompt using commandcmd through W+Run. So I prefer using the same shortcode for Sublime. You can set any keyboard shortcuts as you feel comfortable with. It makes your programming faster. And who doesn’t like that? Sublime is generic IDE which supports many languages. If you are Python programmer, you may like to use PyCharm IDE. It is built specifically for Python project development. Check out our complete PyCharm installation and configuration tutorial. This is all from this tutorial to open command line prompt from Sublime. If you face any challenge for configuring Sublime editor, write your query in the comment. I did not think of this earlier. I was used to open command prompt explicitly every time running program. Thanks for these tips. It is really time-saving for me. Welcome, Abram! I am glad as you find it useful for your coding practice.